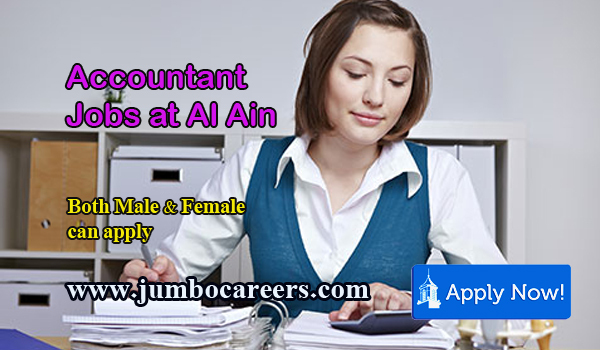 I care Medical centre Al Ain urgently requires experinced accountant who can join immediately. Experience in medical feild and Arabic knowledge is an added advantage. About the company : At the iCare Medical Center THE DEVELOPMENT OF personal relationship between the patient and the health professional is of fundamental importance. iCare Medical Center was established in 1998 and over the years has gone through various improvements and expansion of services to reach its current status of high quality of care provision. Great care has been taken in ensuring that the staff quality are of the highest standards of skills and expertise to be able to provide first class serviced to our patient and costumers. iCare Medical Center is conveniently located just opposite to the main entrance of Al Ain Mall. How to Apply Accountant Post at iCare Medical Center Al Ain- Apply Now.